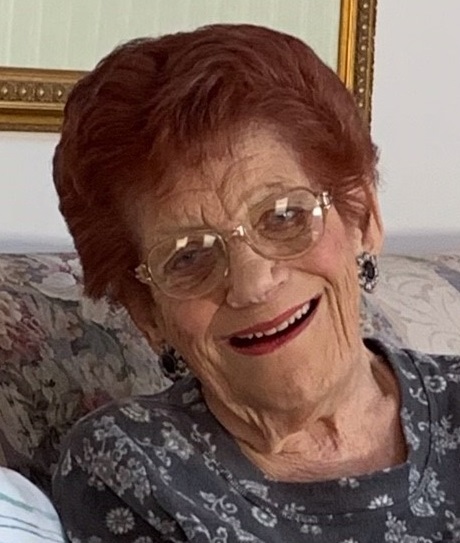 Obituary for Margaret (Rosati) Calcagno | Shore Point Funeral Home and Cremation Services, Inc.
Margaret Calcagno, 88, of Toms River, New Jersey, passed away peacefully on Thursday, April 11, 2019 at Atrium Senior Living in Matawan, New Jersey. She was born Margaret Rosati on November 9, 1930 in Brooklyn, New York, where she grew up. Later in life, she married her beloved husband, Lorenzo, and they began their life and family together in Brooklyn. In 1992, Margaret settled in Toms River, New Jersey. She was predeceased by her parents, Charles and Julia Rosati, her beloved husband, Lorenzo "Larry" Calcagno, and her dear son-in-law, Mark Servidio. Margaret is survived by her loving daughter, Carol Servidio and her cherished granddaughter, Allison Servidio. Margaret will be deeply missed, but never forgotten. Family and friends are invited to attend a Mass of Christian Burial on Tuesday morning, April 16, 2019 at 9:30 AM at Holy Family Roman Catholic Church, 727 Highway 36, Union Beach, New Jersey 07735. Interment will follow at St. Joseph Cemetery, 685 Hooper Avenue, Toms River, New Jersey 08753. In lieu of flowers, donations in loving memory of Margaret to the Visiting Nurse's Association, vnahg.org, would be greatly appreciated.For information, directions, or to send condolences to the family, please visit, www.shorepointfh.com.